Lauren Hilgers lived in Shanghai for six years, writing about topics ranging from tomb raiders in rural Henan province to political scandals in Beijing. Her articles have appeared in Harper’s, Wired, Businessweek, The New Yorker, and The New York Times Magazine. She lives in New York with her husband and their daughter. Crown Publishing Group: In 2014, in a snow-covered house in Flushing, Queens, a village revolutionary from Southern China considered his options. Zhuang Liehong was the son of a fisherman, the former owner of a small tea shop, and the spark that had sent his village into an uproar—pitting residents against a corrupt local government. Under the alias Patriot Number One, he had stoked a series of pro-democracy protests, hoping to change his home for the better. Instead, sensing an impending crackdown, Zhuang and his wife, Little Yan, left their infant son with relatives and traveled to America. With few contacts and only a shaky grasp of English, they had to start from scratch. 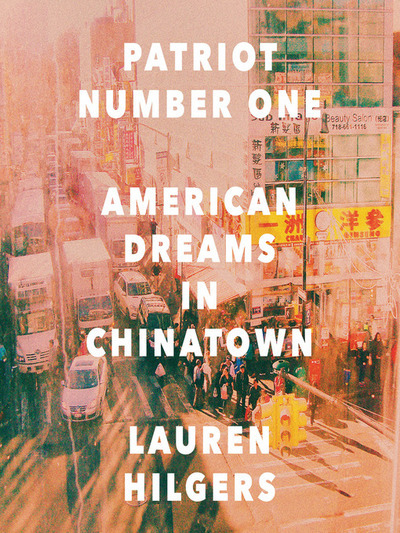 In Patriot Number One, Hilgers follows this dauntless family through a world hidden in plain sight: a byzantine network of employment agencies and language schools, of underground asylum brokers and illegal dormitories that Flushing’s Chinese community relies on for survival. As the irrepressibly opinionated Zhuang and the more pragmatic Little Yan pursue legal status and struggle to reunite with their son, we also meet others piecing together a new life in Flushing. Tang, a democracy activist who was caught up in the Tiananmen Square crackdown in 1989, is still dedicated to his cause after more than a decade in exile. Karen, a college graduate whose mother imagined a bold American life for her, works part-time in a nail salon as she attends vocational school and refuses to look backward.